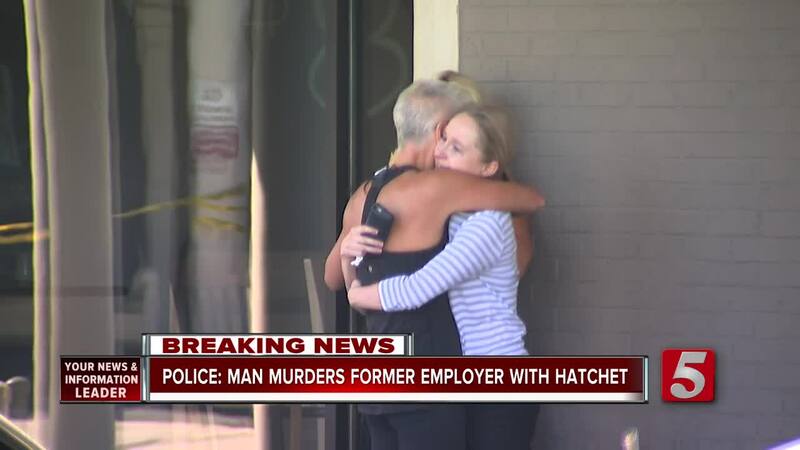 Metro Nashville Police have asked the public’s help in locating a suspect wanted in connection with a fatal attack involving a hatchet. Domenic Micheli, 36, is wanted for allegedly brutally killing his former employer with a hatchet and some kind of bladed instrument. Micheli reportedly used to worked at Balance Fitness, which is owned by 46-year-old Joel Paavola. According to Metro Nashville Police officials, the call came from the gym on Harding Pike in the Belle Meade area just before 7 a.m. Monday. Ppolice say Micheli walked in the gym and Paavola who was working with clients in a workout routine. Witnesses reported that Micheli hit Paavola with the hatchet and blade multiple times before running out with his weapons and driving away in an older model small silver Toyota, either a Prius or a Yaris. The car was seen earlier in the morning by a surveillance camera in the parking garage underneath the strip mall. Micheli was arrested in Washington, D.C. for unlawful entry at a checkpoint near the White House. Paavola died en route to Vanderbilt University Medical Center. A gofundme account was set up for Paavola, who was married with five children. Micheli was arrested Tuesday night by Kentucky State Police on I-65 near Bowling Green. He was driving the Toyota Prius.